The prices of the services include all taxes? The prices shown for the experiences are per person? Prices shown for rooms are per person or per room? The prices shown in restaurants are per person? Do I pay a reservation fee to Wine Tourism in Portugal? Yes, all prices of the services available on the website include VAT and all taxes and fees. However there are services that require a bank transfer as a guarantee.In these cases, If there are any kind of fees concerning the bank transfers, Wine Tourism in Portugal and its partners are not responsible for such fees. The prices shown are per experience; however it is specified in each experience if the price is valid for one or more people.You should read and check carefully all the terms and conditions of each experience at the time of booking. The prices shown are per room and per night, except when there is any indication otherwise. Yes, the price shown refers to the minimum price to pay for a meal and per person, except when there is any indication otherwise. The minimum price to pay for a meal includes: starter, main dish and dessert. All supplements are paid separately. You should read and check carefully all the terms and conditions of each service at the time of booking. 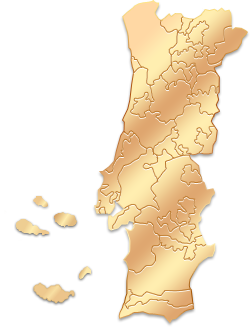 No, Wine Tourism in Portugal does not charge any reservation fee. You should read and check carefully all the terms and conditions of each service at the time of booking. These conditions are available, at any moment, on your booking and email confirmation.